Only retired or serving bureaucrats have been favoured for the top post – a clear breach of the Supreme Court's directions. The dawn of 2019 saw the filling up of five vacancies in the Central Information Commission (CIC). Serving information commissioner Sudhir Bhargava was appointed the chief information commissioner and four retired civil servants were appointed information commissioners. However, both the search and selection committees have ignored this decision by favouring retired or serving bureaucrats while making the recent shortlists and recommendations for appointment. One, according to the file notings released by the Department of Personnel and Training (DoPT), the process for identifying a suitable candidate for taking over as the chief information commissioner began on October 12, 2018, more than a month before the previous incumbent demitted office. It was then completed within a month’s time. Two, the file notings show that 64 applications were received within the stipulated deadline, from across the country against the vacancy advertised in two English language (The Hindu and the Times of India) and two Hindi language newspapers (Dainik Bhaskar and Hindustan). Advertisements were not issued in any other language. Four applications were received after the lapse of the deadline. The DoPT has only disclosed the names of these applicants and withheld their applications and bio data by invoking Section 8(1)(j) of the RTI Act – which seeks to exempt personal information of an individual from disclosure. About 20 pages of documents contained in the files have been withheld from disclosure in this manner. 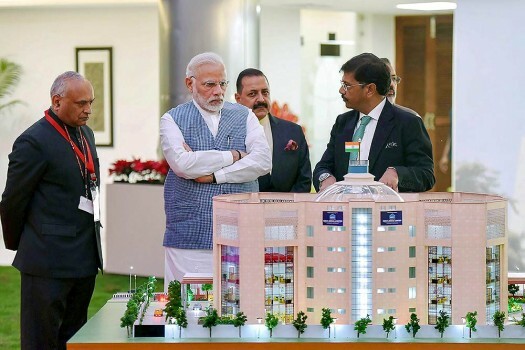 Three, the six-member search committee headed by the cabinet secretary included the secretaries of the DoPT and the Department of Expenditure (in the finance ministry), the information and broadcasting and the additional secretary to the prime minister of India. The director of the Institute of Economic Growth was the independent member. Interestingly, the secretary of the Department of Expenditure declared that he had applied for the post of information commissioner. And after consultations with the PMO, he was retained on the search committee. Four, only four members of the search committee met on November 24, 2018 in the committee room of the cabinet secretariat to draw up the shortlist. According to the file notings disclosed by the DoPT, the secretary I&B and the secretary, expenditure could not attend the meeting. Five, the search committee shortlisted four candidates for the consideration of the selection committee. 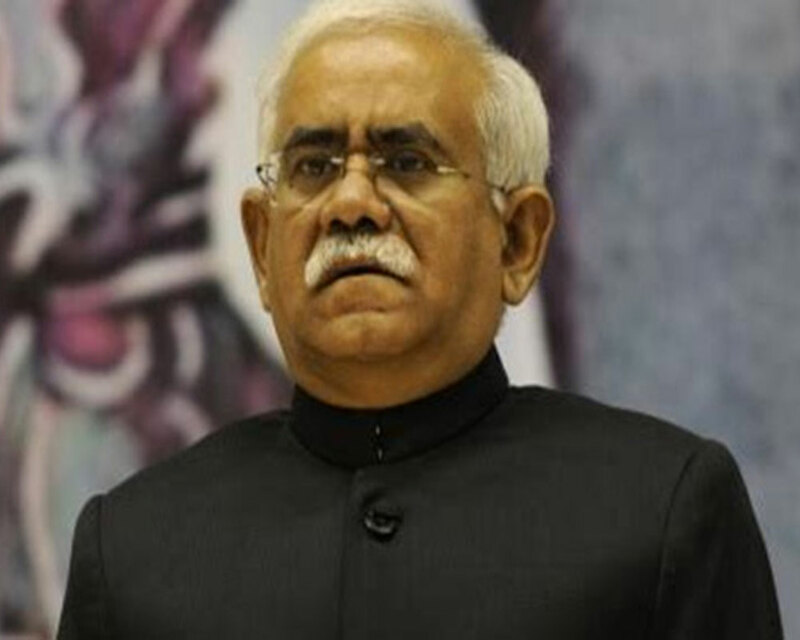 All four were retired IAS officers, including the newly-appointed chief information commissioner Sudhir Bhargava. No women were included in this short list. The list of 68 applicants reveals the names of at least four women. No candidate with other areas of specialisation mentioned in the RTI Act was shortlisted. This is a clear breach of the Supreme Court’s directions. Six, further, the serving information commissioners, Bimal Julka and D.P. Sinha, who had also applied for the post of the chief information commissioner, were not even shortlisted. Seven, three of the four shortlisted candidates had not even applied in response to the advertisement for the vacancy of the chief information commissioner. They included Madhav Lal, a former secretary of the Ministry of Micro, Small and Medium Enterprises, Alok Rawat, a former secretary of DoPT’s sister department, Department of Administrative Reforms and Public Grievances, R.P. Watal, the current principal adviser Niti Aayog and former secretary, Department of Expenditure and S.K. Nanda, former additional chief secretary, government of Gujarat. The search committee’s meeting minutes indicate that its members considered names of other serving and retired civil servants who had not applied at all. One of the women applicants had recently retired as the chief secretary of the government of Karnataka. How her candidature was given lesser weight than that of the former additional chief secretary of Gujarat, who had not even put in his application in the first place, is a mystery. The minutes of the search committee meeting are silent on this issue. This raises serious questions about the manner in which the search committee determined “eminence” in public life. Neither the committee nor the DoPT have publicised the criteria adopted for determining “eminence in public life”. Further, how the claims of the two serving information commissioners were undervalued in comparison to the three shortlisted retired bureaucrats – who had no previous experience of adjudicating RTI disputes in any ICs – also needs to be cleared. Nine, the selection committee comprising the prime minister, his nominee, the finance minister and the leader of the single largest party in opposition in the Lok Sabha met on December 11 to finalise their recommendation to the president. Only one name, that of the appointee was recommended. In fact, contrary to media reports, the selection of the chief information commissioner preceded the finalisation of the names of the information commissioners. One, documents relating to the process for selecting candidates for appointment as information commissioners disclosed by the DoPT date back to May 2018. A similar process for filling up vacancies had already begun in 2016 after the retirement of two information commissioners. The documents released last week indicate that the process was still ongoing in May 2018. After several week-long back and forth discussions, the DoPT decided to call for applications afresh and closed the earlier process on the grounds that the 200+ applicants might no longer be interested or have reached the maximum age limit for the appointment. Two, fresh advertisements made for the four vacancies of information commissioners resulted in 281 applications being received within the stipulated deadline. Ten were received after the deadline. Names indicate that at least 31 were women. The DoPT has again refused to disclose their biodata or background and about 120 pages of documents contained in the files have been withheld from disclosure. Three, the search committee for this process excluded the secretary, expenditure who was himself an applicant. The PMO instead nominated the secretary, Department of Industrial Policy and Promotion. Four, the search committee met first on September 28 and then again on November 24, 2018. However, a common set of minutes have been prepared and disclosed on the DoPT’s website. Five, the search committee considered all eligible applicants and serving and retired civil servants suggested by its members. The documents disclosed by the DoPT do not reveal their names or biodata. Six, the search committee once again shortlisted 13 serving and retired bureaucrats and one retired judge of the Allahabad high court. Of the 14 names included in the shortlist, six were retired IAS officers, two were retired officers of the Indian Revenue Service, two retired officers of the Indian Information Service, one retired IPS officer and one retired officer of the Indian Foreign Service. Only one woman candidate was included in the shortlist, who was eventually appointed information commissioner. Seven, interestingly, one of the four shortlisted candidates who was eventually appointed information commissioner, Suresh Chandra, former secretary of Department of Legal Services, is not even listed as an applicant on the list published by the DoPT. What criteria were used to weigh the “eminence” and expertise of this candidate vi-a-vis that of a retired justice of a high court who held a constitutional post remains a mystery. Eight, the secretary, Department of Expenditure who was replaced on the search committee did not get appointed despite being on the shortlist. Nine, the selection committee comprising the prime minister, his nominee, the finance minister and the leader of the single largest party in opposition in the Lok Sabha met twice – first on the 11th and then again in December 20 to finalise the selection. Only four names, that is, the eventual appointees, were recommended to the president. Ten, the documents disclosed by the DoPT do not include the biodata of the four candidates eventually appointed information commissioners, while that of the chief information commissioner has been made public. This is another inconsistency in the disclosure process and also a violation of the direction of the Supreme Court in Namit Sharma. The government sought to amend the RTI Act mid-2018 to give itself the power to determine the tenure and the terms and service conditions of the information commissioners across the country. Despite giving notice of its intention to introduce a Bill to this effect in the Rajya Sabha, the government was not able to do so during the 2018 monsoon session. The documents disclosed by the DoPT indicate that the government sought to make the changes through the ordinance route. However, this plan did not materialise and the documents that the DoPT has disclosed on its website are silent on the underlying causes. The file notings indicate the government was planning to reduce the term of the information commissioners to three years. The selection intimation letters issued to the new appointees indicate that the terms of appointment are in accordance with the provisions of the RTI Act, namely five years (including term served as information commissioner) subject to the maximum age limit of 65. Salaries will be equal to that of the chief election commissioner and the election commissioners, as the case may be, in accordance with the provisions of the RTI Act. Thus, despite advertising that the government would determine the tenure and service conditions of the chief information commissioner and information commissioners, the government has had to eat humble pie by toeing the line of the law. The documents released by the DoPT reveal only the date, time and venue of the meetings of the search and the selection committees. The former met on three occasions – twice for shortlisting the candidates for appointing as ICs and once for shortlisting the candidate for appointment as the chief information commissioner). The selection committee met twice. The duration of these meetings is not recorded in the meeting minutes. However, the minutes indicate that the search committee looked at all eligible applications (the number is not known – whether all applications received were found eligible or not) and also discussed names of other serving and retired civil servants suggested by its members. CIC’s post: There were 64 applicants who submitted their applications in a timely manner. The search committee recommended three more names. So the selection committee had to examine 67 applications. Assuming that each biodata would require at least five minutes to read and familiarise oneself, each member of the selection committee would require to spend 335 minutes. This implies spending at least 5.5 hours merely examining all applications. If the four late applicants’ biodata is included another, 20 minutes will have to be added to this figure. IC’s post: There were 281 applicants who submitted their applications in a timely manner. The search committee recommended one more name. So the selection committee had to examine 282 applications. Assuming again that each biodata would require at least five minutes to read and familiarise oneself, each member of the selection committee would require to spend 1,410 minutes. This implies spending at least 23.5 hours – or almost an entire day examining all applications. If the ten late applicants’ biodata are included, another 50 minutes will have to be added to this figure. Taken together, the selection committee would have to spend at least 29 hours merely reading the applications. How much time would be required to “consider all relevant factors” before arriving at a consensus on the five names (one chief and 4 ICs) as mentioned in the minutes is anybody’s guess. Did the committee actually spend so much time on the selection process? The government must clarify this matter urgently. On the other hand, the 140-odd pages withheld from public disclosure by the DoPT under Section 8(1)(j) of the RTI Act go to indicate that all 340+ applicants for the four vacancies might not have been found eligible. This is evidenced by the fact that the DoPT has claimed the exemption only for 140 pages of information. What criteria were applied to determine the eligibility of applicants whose applications/biodata for inclusion in the shortlisting/selection process is also not known. This is worrisome because the standards applied to reject applications from those outside the bureaucracy are themselves shrouded in secrecy. Not a single civil society candidate was shortlisted by the search committee. The DoPT must urgently disclose the criteria applied for vetting the applications of civil society candidates all of whom were eventually found ineligible by the search committee. The documents disclosed by the DoPT indicate that the PIL filed by Anjali Bharadwaj, Anjali Johri and Commodore (retd.) Lokesh Batra in the Supreme Court acted as a major push factor in moving the wheels within government to make these appointments. What is unstated is the pressure exerted by civil society, media and some opposition parties halted the amendment of the RTI Act. The documents relating to this process have not been made public despite RTI applications being filed by advocators. A few weeks ago, the DoPT has advertised more vacancies at the CIC for filling up. Once again the advertisement states that the terms and conditions and the tenure of the new appointees will be determined by the Central government. This stipulation is not only patently illegal but also takes parliament for granted by presuming that it will grant its stamp of approval to these proposed amendments. The executive must not second guess parliament in this manner. Further, as the present government has less than four months left, it is not desirable to pack any institution with its handpicked candidates. Readers must not presume that this author is expecting a change in the government, while making this demand. It would be against norms of constitutional propriety for a government to fill up vacancies when it is at the end of its constitutionally mandated tenure. That process must be left for the government that will be formed after the general elections are completed by May 2019. It is immaterial whether the present alliance is re-elected or is replaced by any other political party or alliance. Any political dispensation that comes to power must have a free hand to fill up these vacancies. 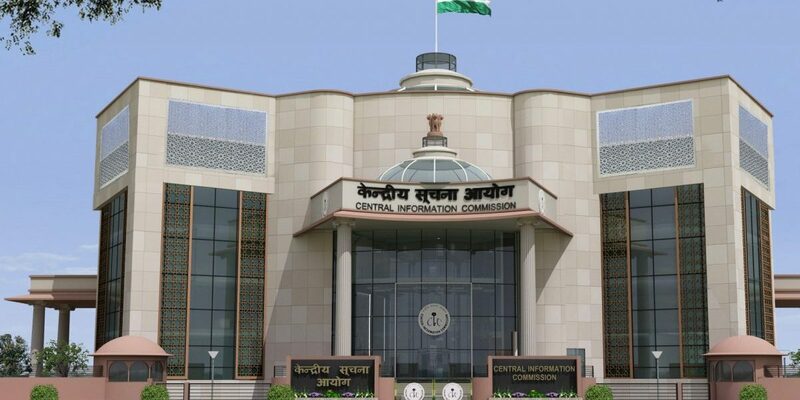 As the latest round of appointments give the 11-member body a chief and six information commissioners, the CIC is not too hard pressed to deal with the current pendency (almost 28,000 cases). The process for filling up the remaining vacancies may be initiated by whichever government that comes to power after the 2019 general elections. Needless to say, all vacancies must be filled up in a transparent manner and in accordance with the directions of the Supreme Court. 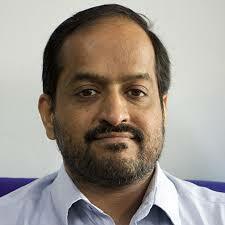 Venkatesh Nayak is programme coordinator, access to information, Commonwealth Human Rights Initiative, an independent NGO based in Delhi. Views are personal.